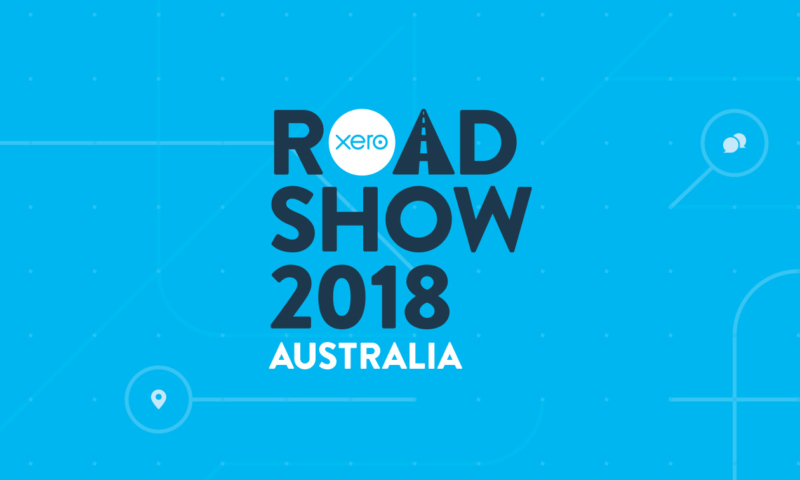 The Xero Roadshow Australia 2018 is nearly here. From 29 January through to 15 February, we’ll host more accountants and bookkeepers than ever, across 20 major cities and regional locations. Our team of account managers and product experts will take to the road and help you get to grips with the latest digital efficiencies. You’ll discover how to reshape the way you use your time and the impact you make. Over the past year, the power of global platforms has transformed the way we consider efficiency and growth opportunities. Now, through a series of talks that centre on the latest tech, it’s your chance to explore ways to use that focus to your advantage – and hear how others in your circles are doing the same. Now that Xero HQ is out there as the default experience for all practices, there are a great many apps and functions to explore – each designed to help you be more effective and to show you the info you need whenever and wherever you are. Consider this session an opportunity to see how to translate and use Xero HQ tools in your practice. As tax goes digital, it’s timely to explore the new streamlined workflows and integrations that can free up time in your day, and learn the latest compliance updates. We’ll also cover best practice security for Xero Tax and the ATO’s digital tax platform so you can implement these important measures in your own practice. This session talks you through the features and functions within the Xero platform that enable you to closely collaborate with small businesses in real time, wherever you are, without the need to travel far for face-to-face meetings. You’ll also be introduced to the exciting roadmap of future releases in the Xero platform. We introduced Xero Projects and expenses at Xerocon. Now’s the time to join us for a deep dive into these new products and learn more about the ways you can manage time-based projects and expenses in the field. An exciting and progressive area for any adviser to explore, fintech is actively helping small businesses to get paid faster. Here in Australia, Xero’s Small Business Insights shows that 50.7% of businesses are cash flow positive, while 49.3% remain neutral or negative. We’ll explain how it’s easier to reduce debtor days. We’ll also share new functionality that streamlines the payment process for supplier bills and payroll. This year’s roadshow goes straight to the heart of a key issue – the impact you can have with the right tools and support. We want to help you find new ways to use your time to its fullest, freeing you up to explore and do more, whatever that might be. So come along, ask questions, and consider the next step you could make to create your most digitally efficient firm. It’s your time, and it matters. Places go quickly. Register your free place at the Xero Roadshow Australia website. The post Xero Roadshow Australia: It’s your time appeared first on Xero Blog.